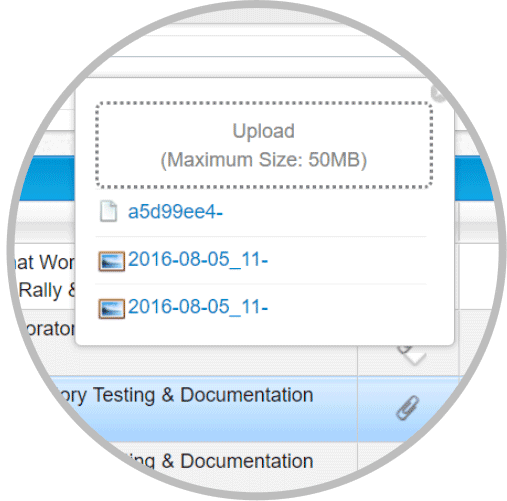 qTest Manager makes it fast and easy for teams to organize and centralize testing documentation in one place. 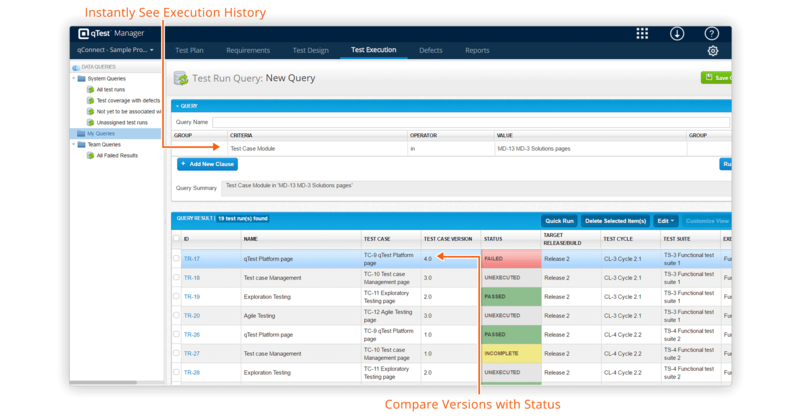 Move your testing team to a test management platform that makes creating, editing and auditing scripts easy. 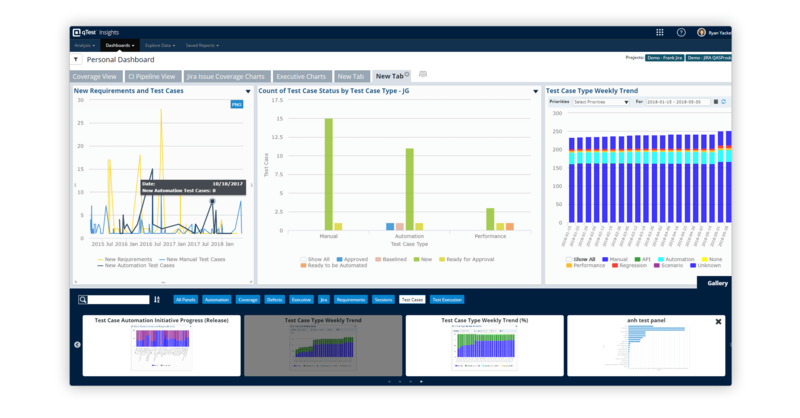 qTest allows you to organize your automated, manual and exploratory test cases in one location for quick access and reduced redundancy. House test cases within parent and sub parent folders to logically show test case categories for execution, such as: new feature, regression and application areas. Create and version reusable test steps that can be called into common scripts. This allows for single points of maintenance when organizing test scripts. 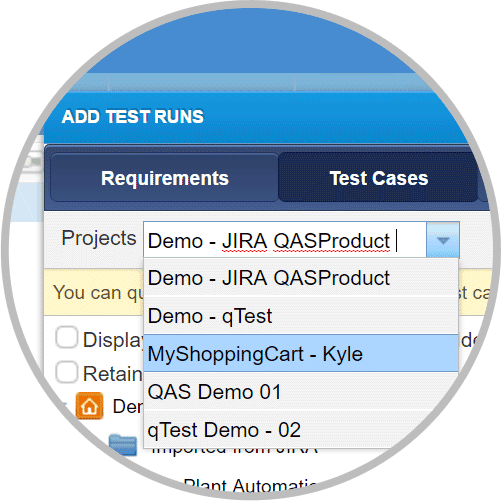 All users can easily create, edit and maintain tests through streamlined workflows. 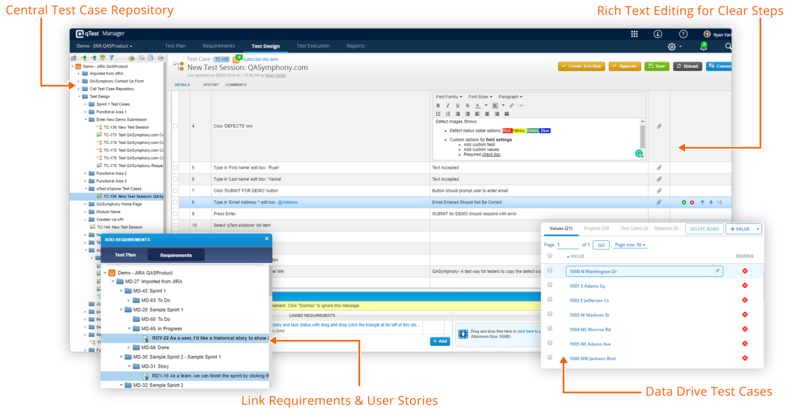 Expedite your test case organization through a UI experience that makes sense for your test team. 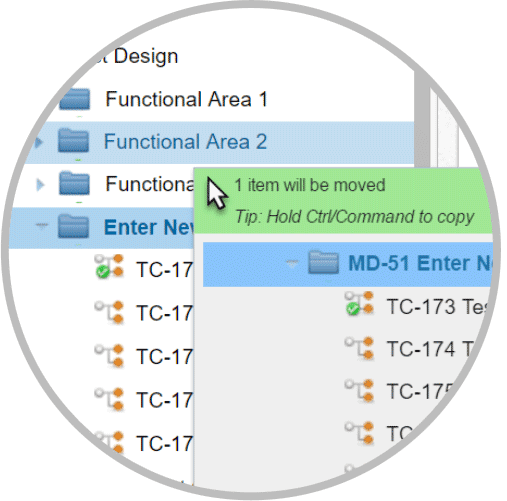 Copy and paste test cases across projects to share between test teams. Test cases can be reused across multiple releases, environments, configurations and many other variables. Instant run history gives team the entire run history of each execution. 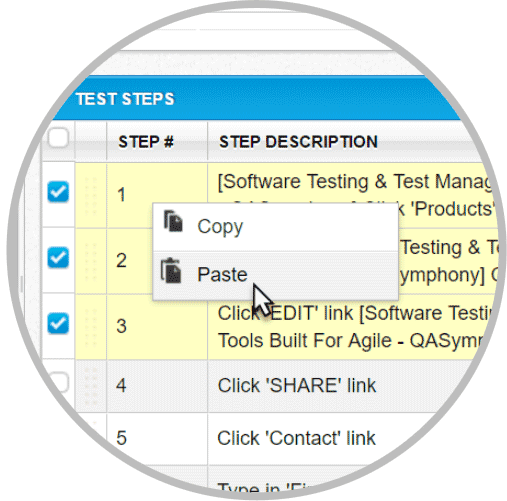 Testers can copy entire test cases between folders, or chose a selection of steps then need to copy and move to common test folders. 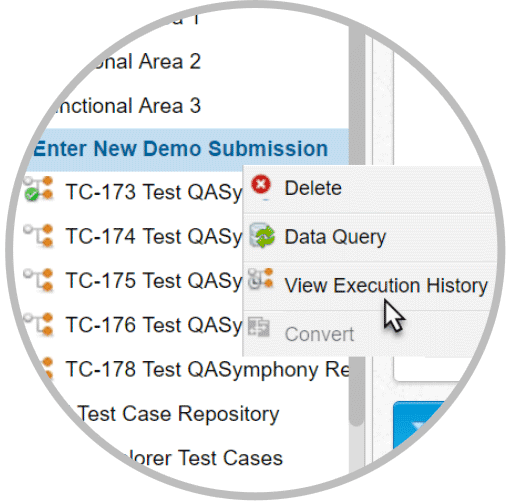 Save time and eliminate duplication by designing test cases with re-usable test step data. 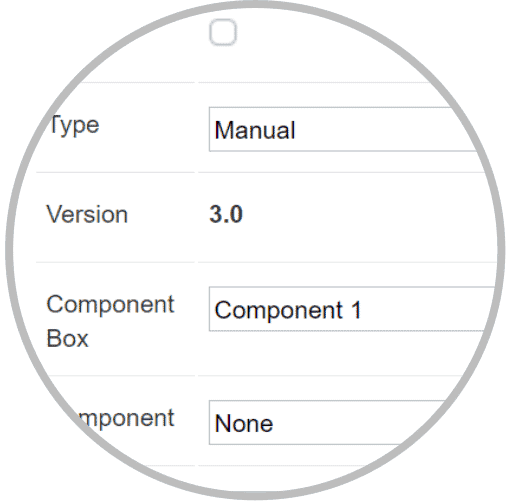 Teams can create new test parameters or import existing test data into qTest Manager to share across projects. Test case designers can easily add parameter variables at the test step level based off selected or random data. 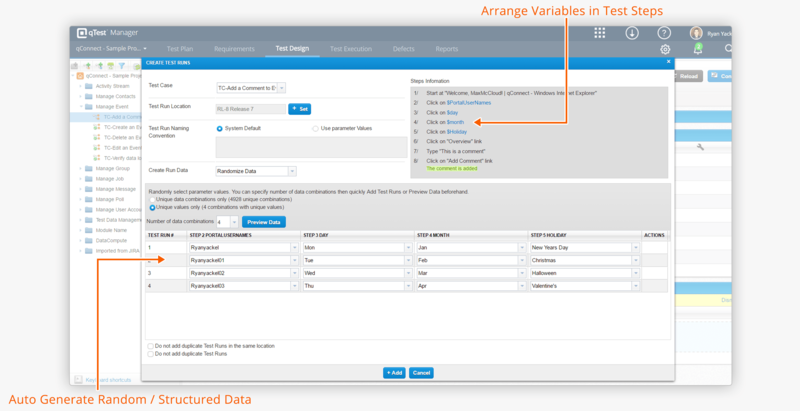 Testers can execute the same base lined test cases with various data inputs during execution. Testers need a location where they can store and reuse test cases across multiple platforms, environments and releases. qTest Manager makes it easy for your teams to organize all efforts in a logical manner so that creating and editing test cases remains an intuitive process. Reliable test case management that guarantees you always use the right test cases. 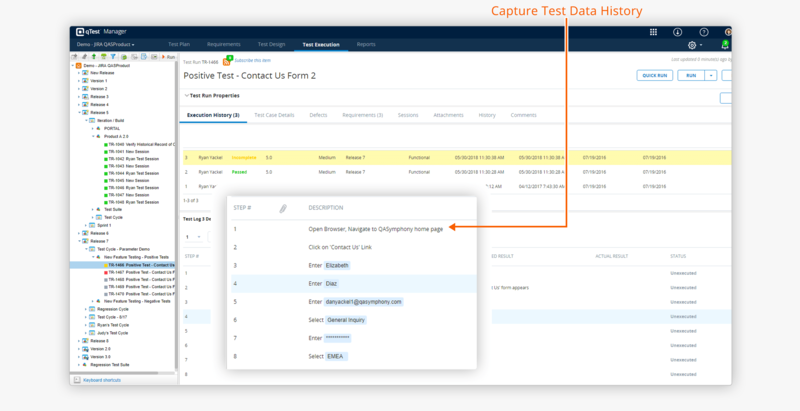 Export test case data for a more detailed look at your testing process and coverage. When migrating from another test case management solution or from using excel, qTest comes with a rapid importer so you can get started with minimal down time. 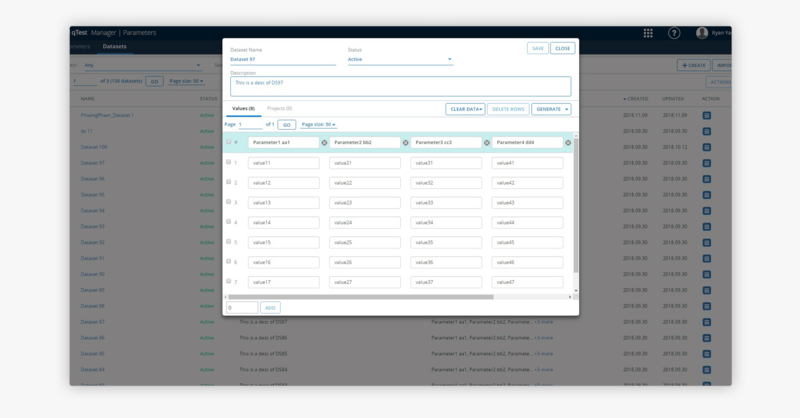 Import into standard qTest fields, or migrate your custom field data into our system without losing time. qTest gave us all the key features we wanted and was easy to use. Plus, we just imported our spreadsheets into qTest and we were good to go. Share your test cases with other team members across projects while also maintaining version control. Share test cases with other project teams while keeping the version control within one project. This helps with duplicated test cases and single points of maintenance. Always know what test case version failed through our systemic version control. 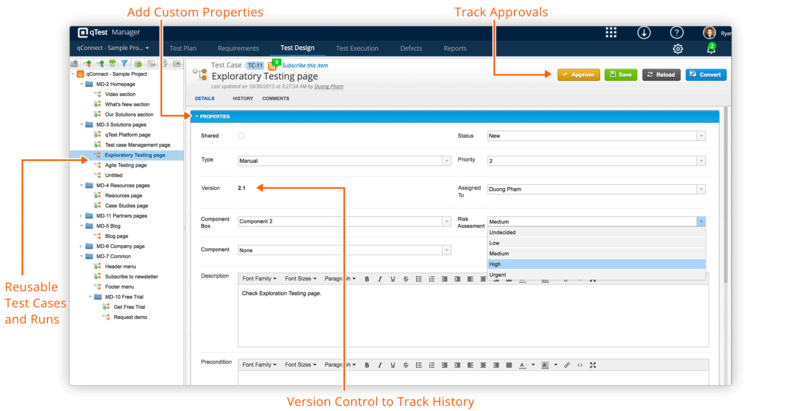 Track what versions were executed and who approved each version. Guide testers with attachments at the test case and test step level for better communication. In a recent survey, 66% of paid qTest customers said that after adopting qTest they increased speed of testing by at least 40%.